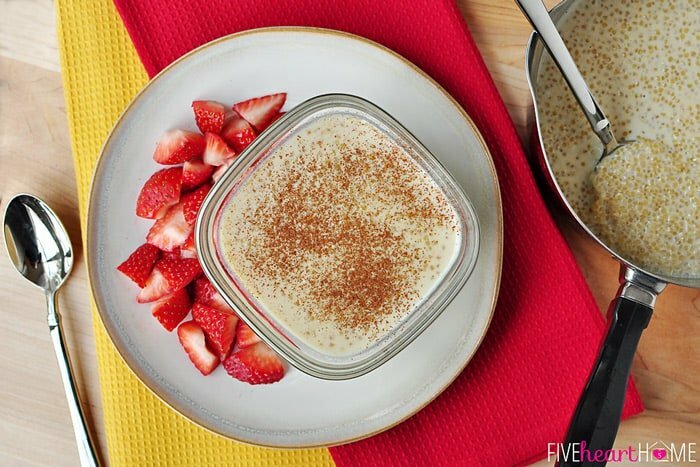 Nutritious superfood quinoa is the star of this creamy, coconut milk-based pudding that tastes like a cross between rice pudding and tapioca. I’m quickly discovering that January is a month of multiple personalities when it comes to food blogging. First of all, after a holiday season filled with rich, indulgent foods, everyone is resolute to start off the year on a healthy foot. Thus, enter the lightened up, nutritious recipes. Then there’s the fact that January is one of the coldest months, so everyone is craving comfort food via their effortless crock pots. 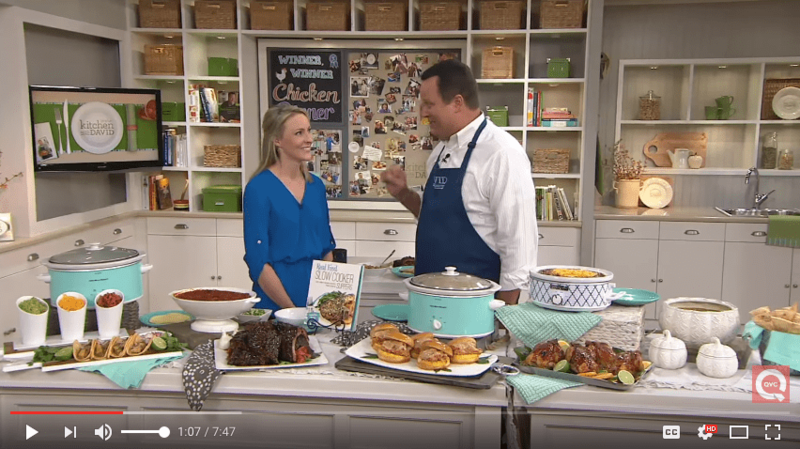 With Super Bowl right around the corner, some folks are trying to plan out their game-watching (or at least their commercial-watching) appetizers and snacks. And finally, Valentine’s Day is on the horizon, so that means decadent desserts and lots and lots of chocolate! Have you jumped on the quinoa bandwagon yet? 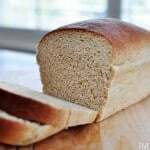 This gluten-free, high fiber, complete protein of a grain has become mainstream and quite popular over the last couple of years, and rightfully so. Nevertheless, it’s been a fairly recent addition to my family’s menu plan, and so far I’ve primarily relegated it to the savory side dish category as a replacement for rice or pasta. Well, in 2014, I’m determined to incorporate quinoa into our diet more regularly and in unique ways. The other day it struck me that it might make a tasty and healthy pseudo-rice pudding, so I got to experimenting. My eldest son is lactose-intolerant, so I often substitute unsweetened coconut milk (the kind that comes in a carton in the refrigerated section) for regular cow’s milk in my cooking. Sometimes it lends a coconut undertone to the recipe and sometimes it doesn’t. I did not notice that it contributed any coconut flavor to this quinoa pudding. But it did make it dairy-free and vegan. For experimentation’s sake, I also made a batch of this pudding with regular milk. My family drinks whole milk, which worked beautifully in this recipe, resulting in creamy, luxurious pudding. I’m sure that skim milk or 2% would work as well, but be prepared for a potentially thinner final texture. In conclusion? Both coconut milk and regular milk work perfectly well in this recipe. What to use is up to you! The first time I made this recipe, I started with 3 cups of milk. After about 20 minutes of cooking time, the quinoa had absorbed all of it. The final dish had the texture of a thick oatmeal and the quinoa still had an al dente bite. It was delicious, but a tad thicker than I had hoped it would be. So the next time, I started with 4 cups of milk. As a result, the cooking time naturally increased, but I actually preferred the resulting quinoa, which was more tender and milder in flavor. Plus I loved that the pudding was creamy and almost tapioca-like in texture, with quinoa grains floating in a pool of thick vanilla cream. To sum it up? More milk and longer cooking time is definitely my preference here. Both worked and I didn’t really notice a difference in the resulting flavor or sweetness level. 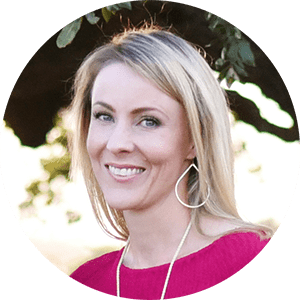 But since this quinoa recipe originated in the name of health, I lean towards sweetening it with pure maple syrup, which is at least a natural, unrefined sweetener. However, plain ol’ white sugar will work just fine as well if that’s your preference or what you have on hand. 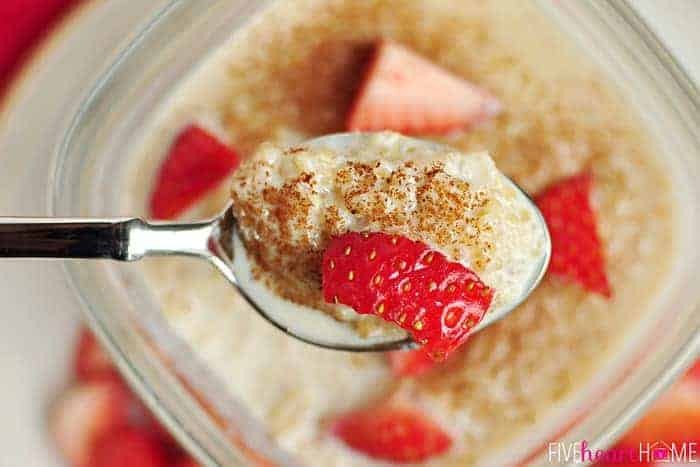 I love cinnamon in my rice pudding but I didn’t know if it would overpower the rest of the flavors, so I experimented with making this pudding with and without. I have to say, I really enjoyed the version in which cinnamon was added to the pudding while cooking. I was afraid it might overwhelm the vanilla, but instead, I found the non-cinnamon version to be a little bland. But certainly feel free to leave it out — or simply sprinkle it on the top — if you’re more of a no-cinnamon-in-your-pudding purist. So there you have it! 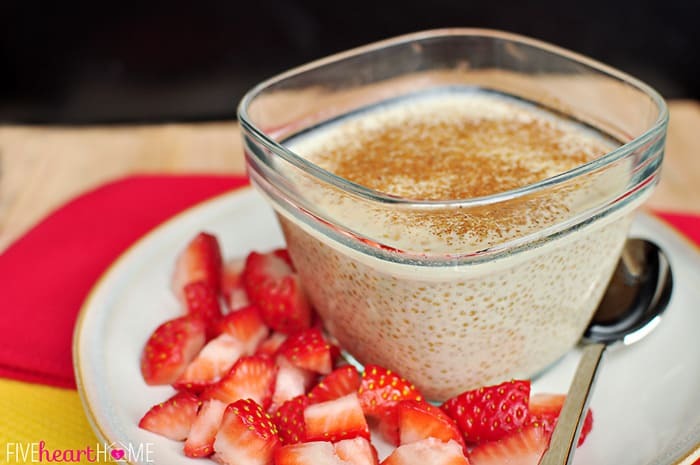 Warm, dreamy Quinoa Pudding. 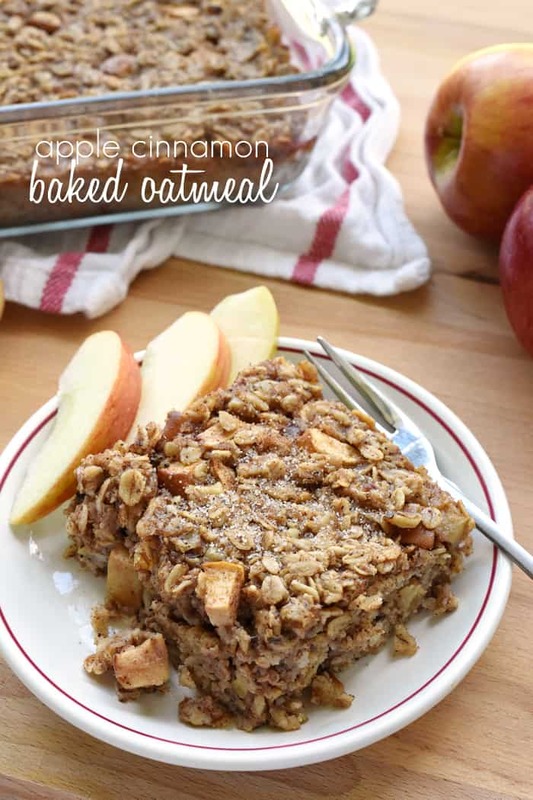 It’s like a 2014 version of comfort food…tastes like a decadent treat but brimming with nutrition! 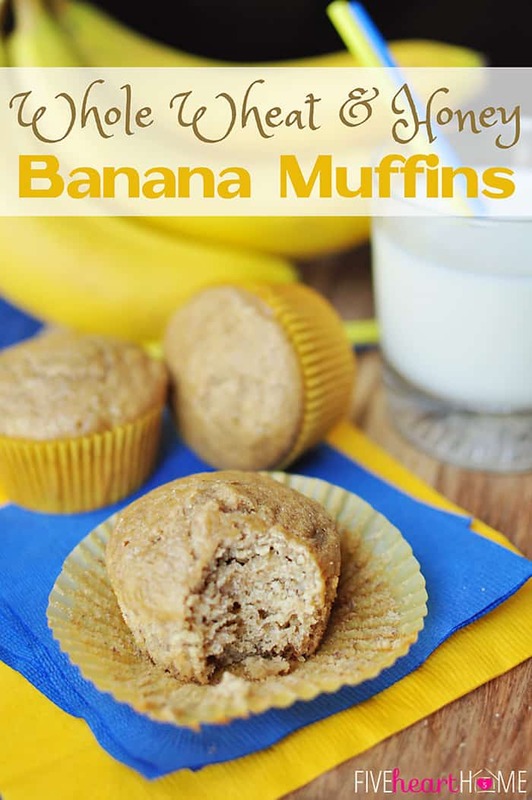 It’s equally delicious and nourishing as breakfast, a snack, or dessert. Whether you’ve been wanting to try quinoa or you’re already a quinoa veteran, this recipe is a winner. I can’t wait for y’all to try it! Place quinoa in a mesh colander. Rinse thoroughly with cold water and allow to drain. In a medium (approximately 3-quart) pot, combine quinoa, coconut milk, maple syrup, vanilla, cinnamon, and salt. Bring to a boil over medium heat. Reduce heat to a low simmer and cover, leaving the lid cracked so that some steam may escape. Simmer for 25 minutes, stirring about every 5 minutes. Remove the lid and continue simmering for 5 more minutes or until pudding has thickened and the quinoa has absorbed most (but not all) of the milk. Remove from heat. Pour into bowls and allow to cool for a few minutes before serving (pudding will continue to thicken as it cools). Sprinkle with additional cinnamon, if desired. Thoroughly rinsing the quinoa is an important step in order to remove any potential bitter residue. I used the kind of coconut milk beverage that is sold in a carton in the refrigerated section of the grocery store. Canned coconut milk would probably work as well and result in even creamier/richer pudding with a stronger coconut flavor. If you use regular milk, watch carefully so that it doesn't boil, foam, and overflow. Also, it is normal for regular milk to form a skin on the surface as the pudding cooks. Simply stir it back into the pudding and it will dissolve. You may use white sugar in lieu of the maple syrup. You may stir regular or golden raisins into the pudding if you wish. 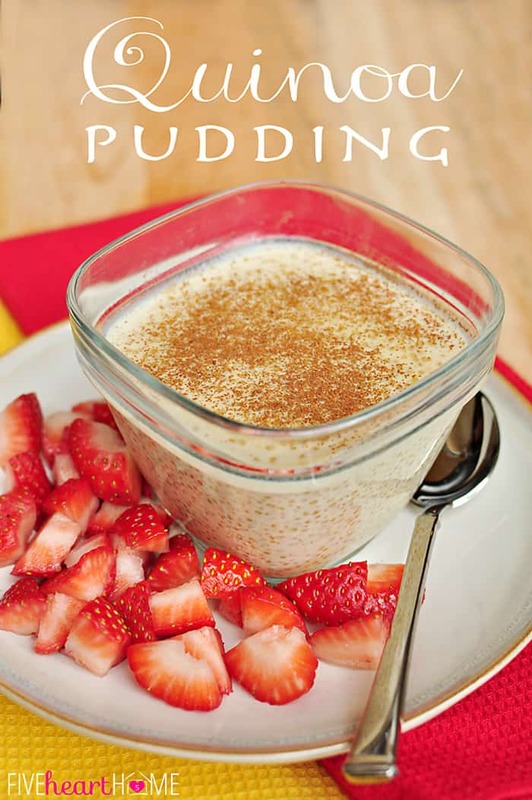 Samantha, I have always loved pudding of all kinds – I am totally intrigued by this! I love tapica so I’m sure I’d love this too and have to put it on my must-try list! Thanks for sharing and pinning! Hope you have a great Sunday! Thank you, Cindy! I think you will love this, particularly if you enjoy tapioca. As always, I appreciate your sweet comment and the pin. Hope you’re having a great weeK! This sounds amazing, Samantha. I’d love to give it a try for breakfast with coconut milk and maple syrup. Yum! Thanks, Megan…it makes a great breakfast! We’ve been eating it all week and it’s about time for me to make another batch… 😉 Let me know what you think if you end up trying it! I hope you enjoy it, Bethany! I’m getting a little more adventurous with quinoa these days as well…but this is my favorite way to eat is so far by far… 😉 Happy to have you stop by! Oh my word! I am craving this! 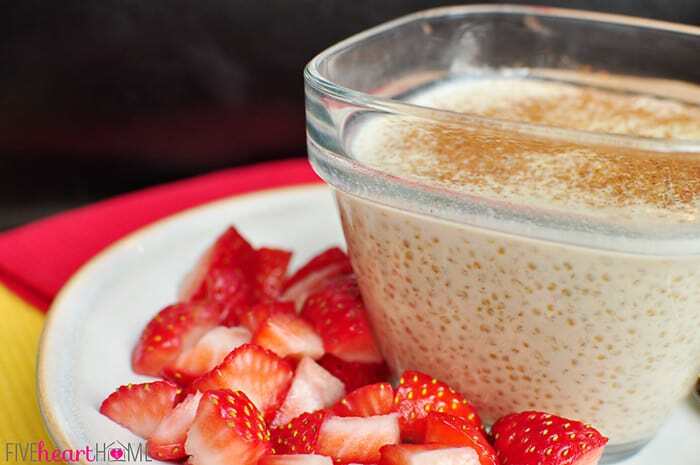 I LOVE quinoa and this looks like a great tapioca alternative. Another good one! I used to have homemade tapoica all the time when I was little. This looks like a healthier option! Pinning and hoping to try it out soon! Hi! I’m stopping by from the Lovely Ladies Linky Hop. I love quinoa! 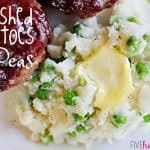 This recipe looks easy and yummy! I’ll have to give it a try. I’m so glad you stopped by, Teresa! I think you’ll love this recipe if you like quinoa…or even if you don’t! 😉 Easy and yummy are right, so I hope you do get to try it! 🙂 Thanks for the comment…have a great weekend! 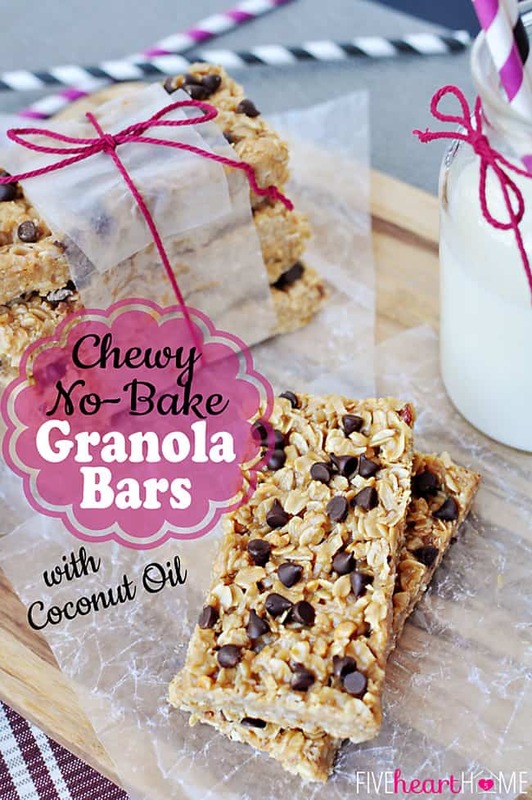 Making this now and just wanted to clarify that the “coconut milk” you refer to is that the beverage or canned? Thank you. Recalling looking forward to enjoying this new recipe!!! Silly me, I just went back and re-read. Answered my question. Thanks Samantha! Ha ha…and in the meantime I was answering your question! 🙂 Glad you found it! I am so craving this right now! I am definitely going to be making this soon!! Thank you, Jocelyn…I hope you do get to try it soon! I was very excited by how yummy it turned out, given that it’s actually healthy and all… 😉 I’m so glad you stopped by…happy Friday! Yes, Caitlin…sounds like it’s high time to try this! 😉 I hadn’t had a sweet version on quinoa before this recipe, either…but I have to say, I think it’s my favorite way to eat quinoa now. Hope you like it, too! Oh my this sounds delicious! I grew up eating quinoa but have just recently started experimenting with new ways to eat it other than salad. Last night we had breakfast for dinner and the quinoa pancakes were the star! I can’t wait to try this! The coconut milk and maple syrup make it sound even more yummy 🙂 Thanks for sharing!! Love this pudding! Definitely gonna make it asap! Ha, Kammie…your comment made me laugh! Glad I’m not the only one with a tendency towards an unrefined pronunciation of the word ‘quinoa’… 😉 Enjoy the recipe…thanks for stopping by! Thanks so much for stopping by and for the sweet comment, Lisa! I have to admit, I really do love this sweetened up quinoa. I hope that you like it as well if you get to try it! See you at BotW, and thanks for hosting each week! I really enjoy this recipe but I was just wondering what brand of quinoa did you use? When I made this It had a real strong nutty flavour. Hi Zoe! I’ve been using Royal White Quinoa lately, and it’s the 365 Organic brand from Whole Foods. I rinse my quinoa really well to get rid of the bitter coating, and I find that by the time it’s been cooking for 30 minutes, the quinoa flavor is pretty mild. As I mentioned in the post, I did a bit of experimenting when developing this recipe, and I found that the quinoa flavor was much stronger with a shorter cooking time. So I’m not sure if any of these could have been factors for you or if different brands of quinoa taste stronger than others. Hope this helps a bit…thanks for the question! I made this using almond milk for a lactose intolerant friend who does not like coconut. 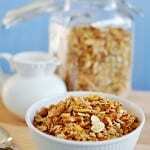 I added in a cup of golden raisins and a cup of slivered almonds. She loved it! I’m so happy to hear that your friend enjoyed this treat! Your modifications sound yummy. 🙂 Thanks for coming back to share your success! I was just wondering if you used the plain almond milk or if you used the vanilla flavored? Hi Corrine! 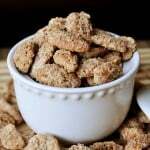 I use plain almond milk in this recipe. But you could certainly use vanilla if that’s what you have on hand. Just keep in mind that you may want to reduce the sugar in the recipe if you’re using sweetened almond milk. Hope that helps…enjoy, and happy Friday! Yes, Cheryl, I think almond milk works just as well as coconut milk if that’s your preference. 🙂 Hope you enjoy! I’m glad that you enjoyed this, Lizzy! And yes, it’s pretty forgiving so I think you can definitely experiment and change it up if you like. 🙂 I appreciate the comment and hope you’re having a great week! I hope you enjoy this, Katie! It’s been a favorite breakfast around here lately. 🙂 Thanks for stopping by…hope you’re having a great week! I tried this thinking it would be good. I hate to say neither my husband or I liked it. I needed to use a container of coconut milk. Maybe just a personal taste preference on this since others seemed to like it. Hi Charlotte! I’m so sorry to hear that you didn’t enjoy this. Every recipe is not loved by every person, and quinoa in particular can be an acquired taste. Is it possible that you didn’t thoroughly rinse the quinoa? The naturally-occurring bitter residue on the quinoa can definitely contribute an unpleasant taste to the final dish. I’m also not sure what you mean when you say you had to use a container of coconut milk? The recipe calls for 4 cups, so I’m curious if you required more or less. At any rate, I’m sorry again that this wasn’t your favorite, but I hope you find another recipe that better suits your tastes. 🙂 Have a great week! 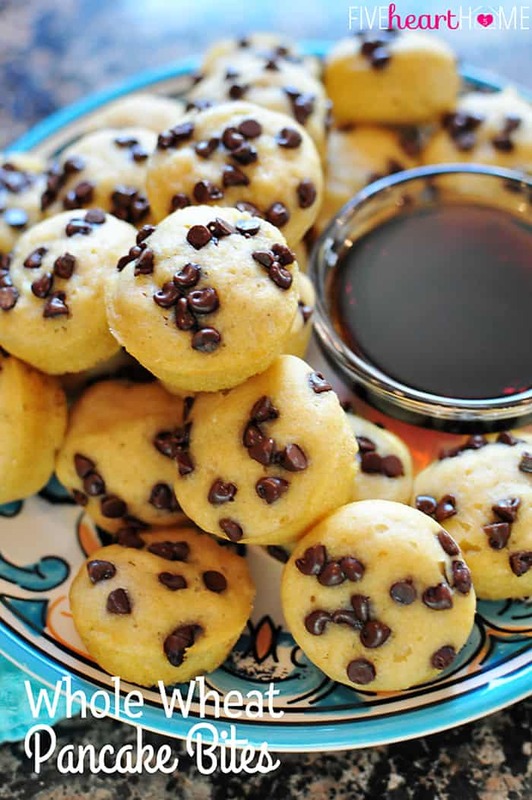 I don’t think it tastes very quinoa-y when prepared this way, Avra, so maybe your kids will like it! I hope so. And it reminds me more of tapioca than rice pudding, so hopefully your daughter will at least give it a try. 😉 Good luck! 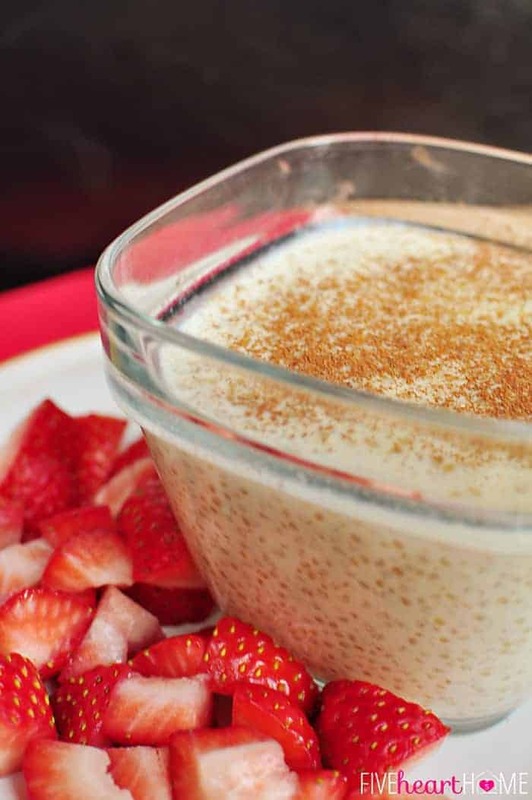 I’m eating a ‘lil bowl of this delicious quinoa pudding right now! Delish! Hubby likes it too! Looking forward to having it again tomorrow morn for breakfast with blueberries and sliced banana. 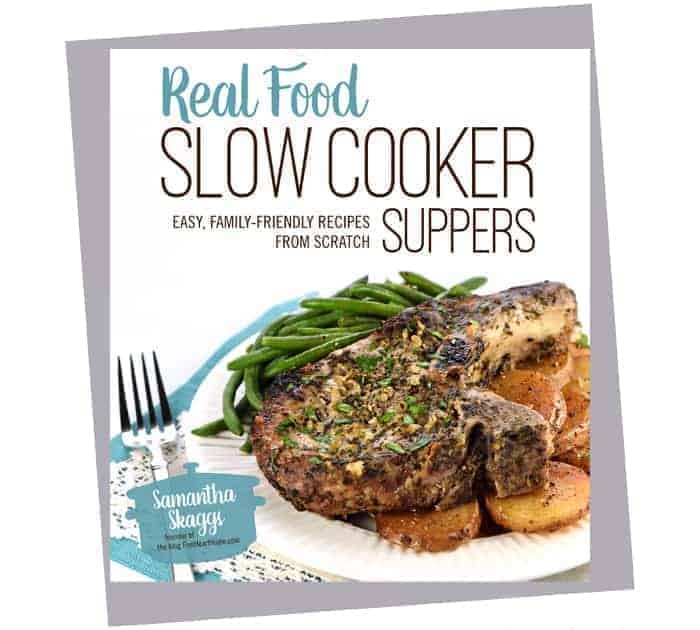 Thanks for sharing Samantha! PS You’re not the only one who reads quinoa as ‘kwinoa’ 😉 Gets me every time, even though I know it’s meant to be ‘keenwa’ haha! Absolutely delicious. Wow. I am licking my bowl. I didn’t have coconut milk, only an almond-coconut milk mixture, but it was still great (though it did boil over once…. or twice). I also didn’t have vanilla, but it wasn’t missed. And because I’m not vegan and didn’t want the pudding to remind me too much of breakfast, I used half maple syrup and half raw honey. Finally, because my quinoa package suggests a rice cooker as a cooking option, I decided to make the pudding in my rice cooker for easier cleanup. I would recommend this cooking method to anyone who wants to make sure their mixture doesn’t burn, but not to anyone who would leave the cooker unattended, as mine did boil over. Additionally, it did take a little bit longer to cook. Just finished making this and while it was tasty it did have a breakfast porridge-y taste to it. I wonder how it was cold if anyone had better will power than I did to put it in the fridge after cooking. Would make it again. We enjoy it both warm and cold, Ellen! I’m glad that you liked it, too. 🙂 Thanks so much for taking the time to let me know. Happy Friday! This looks super tasty and I really want to try it out this week when my mom visits, since she used to make pudding for me as a kid! I was wondering however if you meant vanilla extract (imitation or pure?) or powder? Thank you! So sorry for any confusion, Miriam! I meant pure vanilla extract. I will go back and clarify the recipe now…thanks for pointing out that I just put “vanilla.” I can see how that might not be clear enough. 🙂 Have a great visit with your mom and I hope that you both enjoy this recipe! I have a similar recipe for breakfast. I’m gluten free. Just cook as the package directs using the milk of your choice, raisins and cinnamon. NO sweetener needed at all. Add the vanilla at the end for more flavor. It is my substitute for oatmeal. You can add a little more milk as you go, depending on how soupy you like it. The key to quinoa is to have a very fine strainer and “rub” the quinoa over it while rinsing. This wears off the bitter coating, so it’s always delicious! This sounds delicious. I love rice pudding so this will be a nice healthier substitute. Can’t wait to make it. You’re definitely not the only one. I have to remind myself how to pronounce it after years of getting it wrong. Hi, browsing through Pinterest looking for something new and came accross your Quinoa pudding. Being new to Quinoa ( tried it for the first time at Christmas time) I have since only been putting it into salads. This is delicious!! Very different. I put chopped banana in mine as it was thickening and used canned coconut cream. Yummo. Thanks for making me look at Quinoa for something other than salads fillers. I just tried it (with milk) and it turned out great, thank you so much! Great tip, Stephanie…thanks so much for sharing! And I’m glad to hear that you enjoyed this. 🙂 Hope you’re having a wonderful week! Chia seeds too will absorb some of that extra liquid too! Hi there I absolutely love this pudding I was curious if you might know how many calories are in there per serving? LOVE this recipe. I made a different one, wasn’t so hot! Mashed a banana, and added blueberries because I LOVE Blueberry Banana Bread…so I figured…why not! 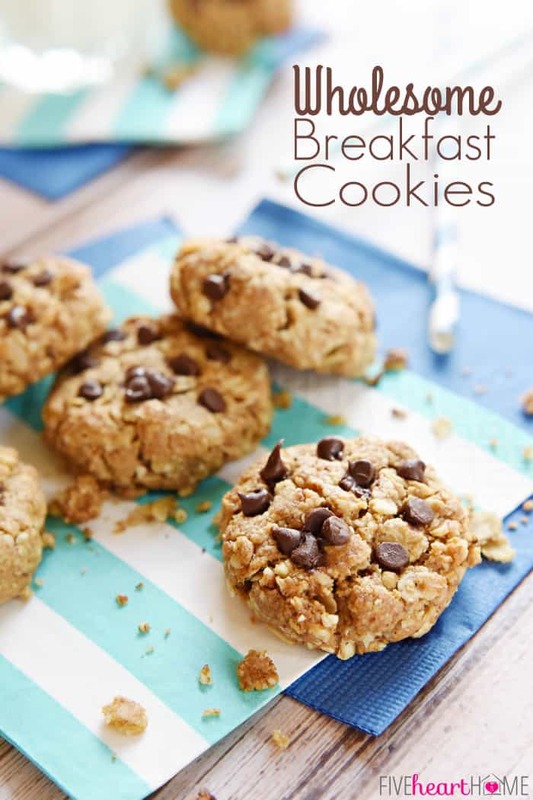 I am sharing this page… Just a really good alternative breakfast! Im 36 weeks pregnant and have been looking for creative ways to eat quinoa (it’s supposed to be a super food for pregnancy and breastfeeding)…this recipe is delicious. Also ive been making it without sugar and it tastes great…doesn’t really need it with all the flavor from the vanilla and cinnamon. I use coconut milk to cook and usually add a little extra cinnamon before serving. It makes a healthy breakfast and is good hot or cold. Thanks for the recipe! I’m making this as I’m writing this… I can’t wait! A few years back I became ovo-lacto vegetarian but I’m currently going through a detox phase so I’m not allowed to eat pretty much anything including dairy products so I was looking for new and interesting ways of surviving this phase and I found this. I used almond and coconut milk to give it an extra puch of flavor and since I’m not allowed to eat syrup or sugar of any kind (except stevia) i let it like that just add some raisins for extra sweetness and try it if needed i will add some stevia -blah- but i think it will be just fine. Thanks for sharing the recipe of all of those i saw this was my favorite.